No matter which industry you name, cutting costs through extending the life of equipment is crucial to succeeding in a competitive environment. Hydro Carbide tungsten carbide bearing components can provide an ideal solution to many wear problems. 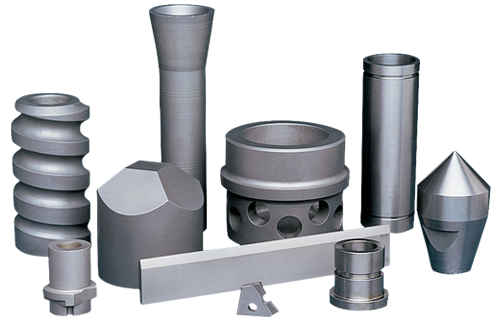 We produce a wide variety of Tungsten Carbide wear resistance components and other products, including nozzles, bearing and compacts studs used for mining, well drilling, processing and transporting oil, coal and natural gas. Tungsten Carbide bearing components can be the answer wherever wear is a problem in mining, metal forming, metal producing, gas and oil recovery and transmission as well as many other industries and applications. Hydro Carbide’s engineering staff works closely with our customers to provide technical assistance on grade selection and optimum component design resulting in long and profitable part performance. Hydro Carbide’s Tungsten Carbide bearing components and other wear parts components can help cut production costs by extending tool life with less machinery down time. Contact us for help, concerns and solutions for to resolve premature failure of your machine tooling and machine part wear problems.